For most, a flight delay is an inconvenience they would like to avoid. For Australia’s Royal Flying Doctor Service (RFDS), however, reaching their destination on time can be critical. Thanks to P&WC’s FAST™ SOLUTION for Flight (data) Acquisition, Storage and Transmission, the organization can deliver essential care more efficiently and to the highest safety standards. The RFDS’s fleet of 66 “Flying Doctors”—customized planes fitted with essential medical equipment—are often called on to deliver emergency medical services to patients in remote regions. The aircraft must always be ready to take off at a moment’s notice. For that reason, the organization is always seeking cutting-edge tools to optimize maintenance and to ensure dispatch availability. 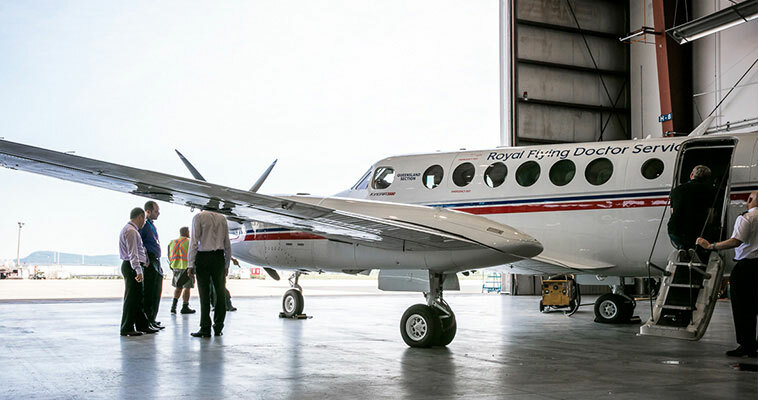 As part of these efforts, the RFDS’s South Eastern (SE) Section introduced P&WC’s FAST™ Solution on three of its PT6A-powered Beechcraft King Airs in April 2015. The team is delighted with the results of the innovative engine health management technology. The FAST™ technology is now installed on eight of the SE Section’s 17 aircraft, with plans to roll it out to the rest of the fleet in 2017. “FAST™ technology has had a very positive effect on our team. We have really enjoyed the process of working with Pratt & Whitney Canada on this initiative and it has created a real appetite for trying new things,” says David Charlton. 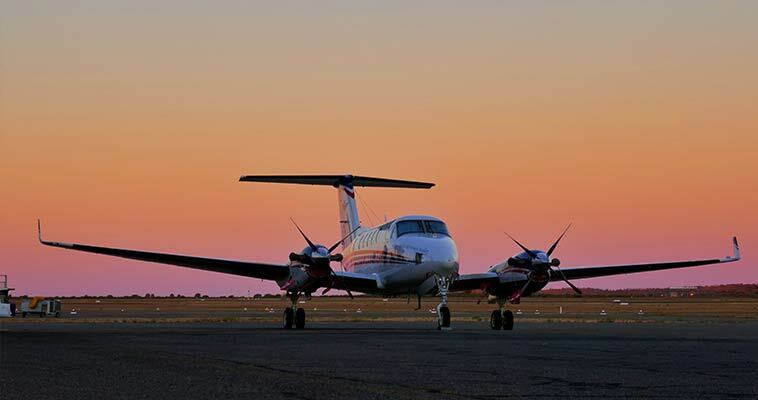 The RFDS is vital for those that live, work and travel in rural and remote Australia. The culmination of two decades’ experience in engine health prognostics and diagnostics, the FAST™ Solution, is part of P&WC’s growing suite of digital engine services. It captures, analyzes and wirelessly transmits a wide range of near-real-time engine and aircraft data after each mission, providing detailed, customized alerts and trend monitoring information. This makes it easier for operators to troubleshoot potential issues before they happen to minimize or avoid them entirely and to move toward a more fully planned maintenance environment which can result in significant cost savings. “The ability to dispatch aircraft on short notice is of the utmost importance to the RFDS. With FAST™ we’re helping them to optimize their maintenance operations, allowing them to identify potential events or shifts in engine trends and to perform maintenance proactively as opposed to reactively. It really changes the whole approach to maintenance,” says Michael. The RFDS uses the FAST™ solution to capture hundreds of parameters during each flight. This data is then used to recreate flight profiles for training, to investigate incidents and to analyze reliability. With the insights gained from the data, the RFDS is able to provide pilots with feedback which will help them on future missions. For instance, David recalls one incident where a Flying Doctor heading to Canberra experienced a major wind shear event: “Using data from FAST™, we were able to recreate the incident in 3D and to understand visually, what happened. It’s a high-fidelity quality assurance device that helps to build trust and confidence among our pilots,” he explains. Information gleaned from analysis is also shared at regular pilot briefings. “We can show our pilot community what they’re doing in terms of engine trends—what’s good and what could be improved. FAST™ helps us train good pilots to become great ones,” notes David. Every RFDS plane has the necessary medical equipment to deal with any emergency. As a non-profit charity, the RFDS strives to run its operations as cost-effectively as possible. The insights gained by FAST™ helped generate significant savings. For instance, using engine health data to perform maintenance “on condition” has significantly increased the average time between engine overhauls. According to David, the average time between overhauls for FAST™ system-equipped aircraft is 6,000 hours —almost double the average of 3,600 hours for aircraft without the system. What’s more, the RFDS is now able to analyze engine data in-house instead of outsourcing the work, which both cuts down on costs and provides more agility. Data can be downloaded, visualized and analyzed by the RFDS team within minutes of an aircraft’s landing. Over 1,200 FAST™ Solutions have been installed to date across all aircraft platforms. The solution is popular across a number of verticals, with adoption in the general aviation, regional airline, business jet and helicopter markets. The FAST™ solution’s features are constantly evolving. Non-engine flight-data analysis capabilities were recently introduced for regional aircraft, as well as propeller vibration trend monitoring. In fact, FAST™ is one of many advanced engine health management tools available. Discover other innovative solutions in P&WC’s Airtime blog.